Help us to build this list. We want to provide residents with an extensive set of useful links for matters of local concern. If you have any suggestions for additional links or notice any existing ones that are not working then please let us know. The Council has provided an information sheet of contacts (published in Hounslow Matters) for often reported issues. You can download it here. Unfortunately, the list is not as useful as it could be. Thus, residents are invited to report graffiti problems by phoning 020 8583 2000. This is the main council switchboard. The council website says that graffiti problems should be reported using 020 8583 5555. Why not give this on the information sheet? We thought it might be useful to provide some numbers here. You can also use the online contact form for HH. This includes an interactive map on which you can see if the problem has already been reported. Select the Central Hounslow and Osterley tab and then click on the map to indicate the location of the issue you wish to raise. A form for you to complete will then appear. (2) Council-managed estates: phone 020 8583 4000, email customerservicecentre@hounslow.gove.uk. 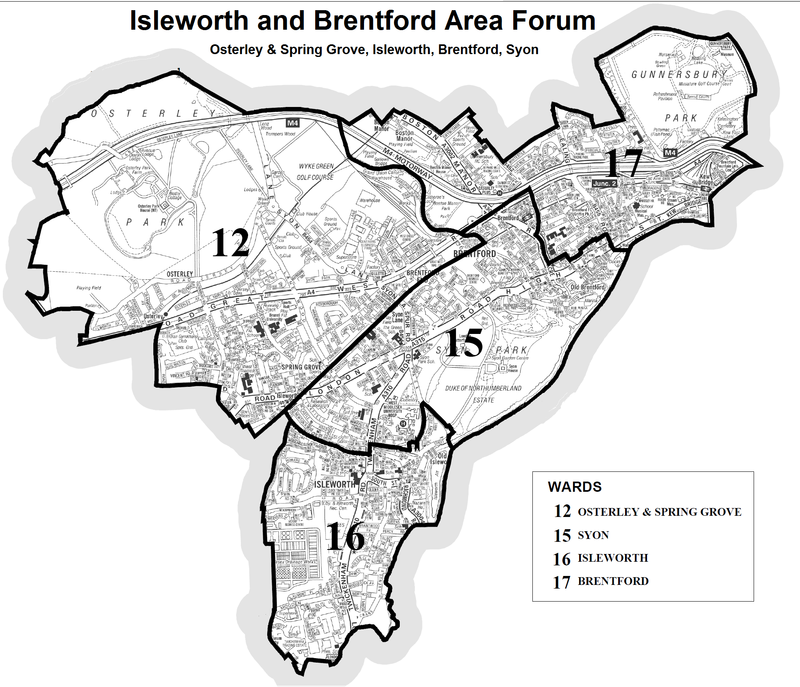 (4) Private land issues: phone 020 8583 5555, website http://www.hounslow.gov.uk/street_care. (5) Noise.You can download the Council’s noise guidance booklet, and its noise logging form. Complete the online form at here or phone 020 8583 5555 during the day. For Friday/Saturday from 10.00 pm to 4.00 am phone 020 8583 2222. 7. Area assessments. 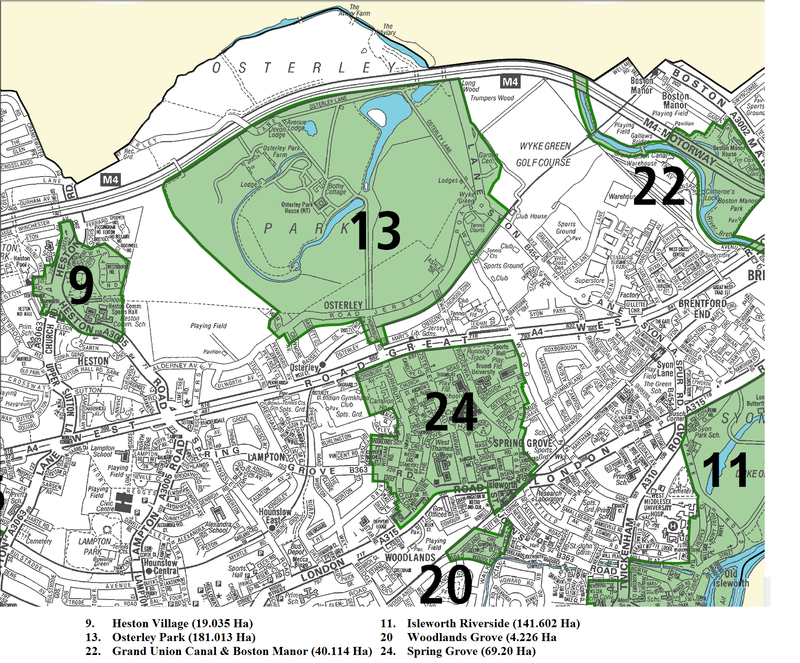 (a) Map of LBH conservation areas. 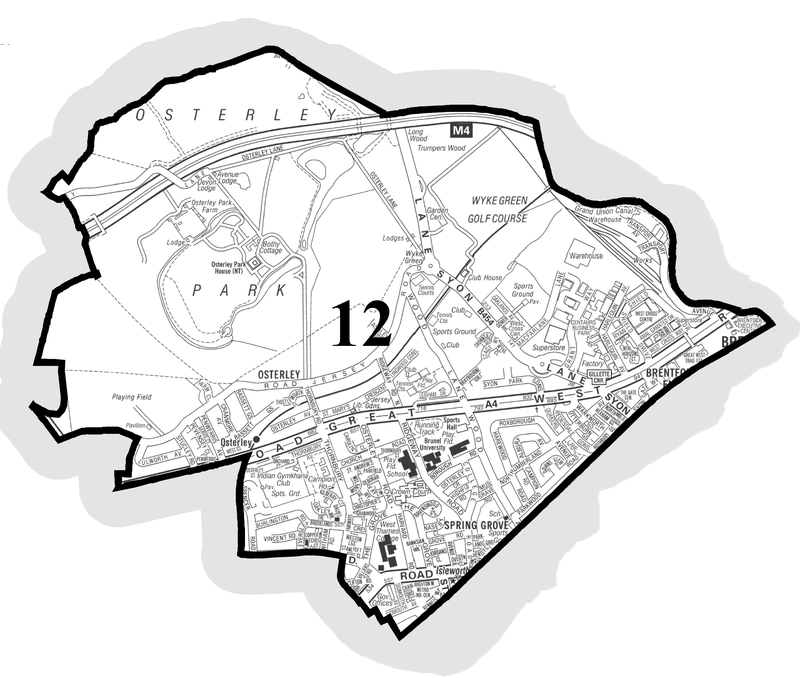 (b) Assessment of Osterley and Spring grove area. (c) Assessments relevant to our area. 8. General Planning matters. (a) The planning framework. (b) The Local Plan. (c) Great West Corridor review. (d) West of Borough Plan review. B. RESIDENTS’ GROUPS. OWGRA is the only residents’ group covering the whole OWGRA area. We do, however, have contacts with other groups and will act with them on matters of common interest. C. Other organisations active on local matters.